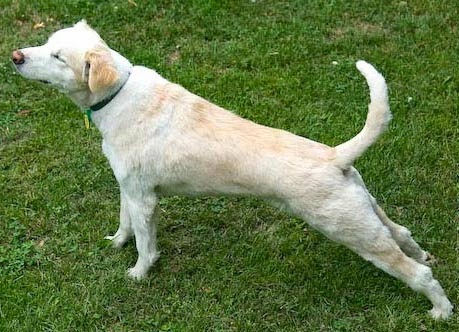 Do you ever notice how when your pet gets up from rest, she never just bounds up, but rises and does a couple of "stretches"? 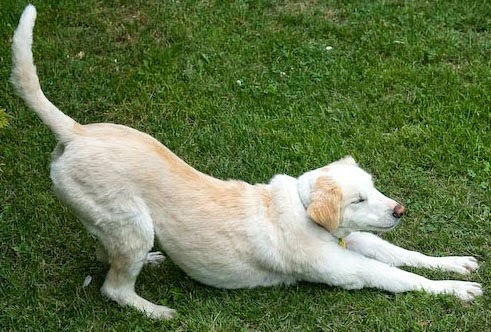 She isn't actually stretching though. She's pandiculating. As she bows down, she contracting her back, then she moves through a neutral spine to do it again, but in an upward lengthening the front of her body. This is similar to what we do with Somatics. We move the body through movements to gently contract a set of muscles while at the same time lengthening the opposing muscles. Notice I don't say stretch. It's not that stretching is bad, but it does not release chronic muscle tightness. If you have particular knots and sore spots that no matter what you seem to do, won't release long term, try pandiculating them. With somatic exercises--or "un-exercises" as I like to call them--you are encouraged to sense what the muscles are doing. We avoid extreme contractions (like when lifting weights) and avoid forcing a stretch. Rather we move gently, giving the brain, muscles and nervous system a chance to reboot, so to speak, by turning off habitual tension that causes pain. The result? We move with more fluid, natural movement. Somatics is all about less is more. With Somatics you gain freedom in your body, get rid of pain, lower your stress levels with ease. It may seem contradictory to all you've ever learned, but it really works because it goes to the root of all movement: our brains! I'd love to share it with you. 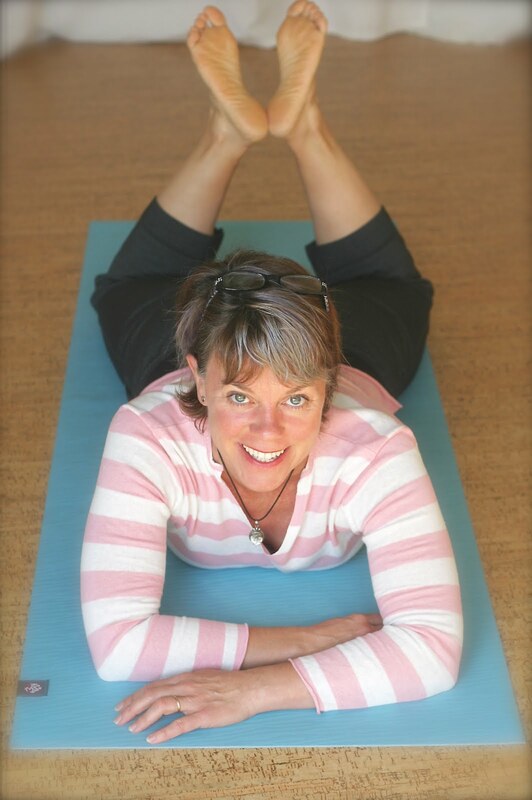 Join me in a class or private session or over the internet via Skype.